It's time to announce the winner of our first birthday giveaway. 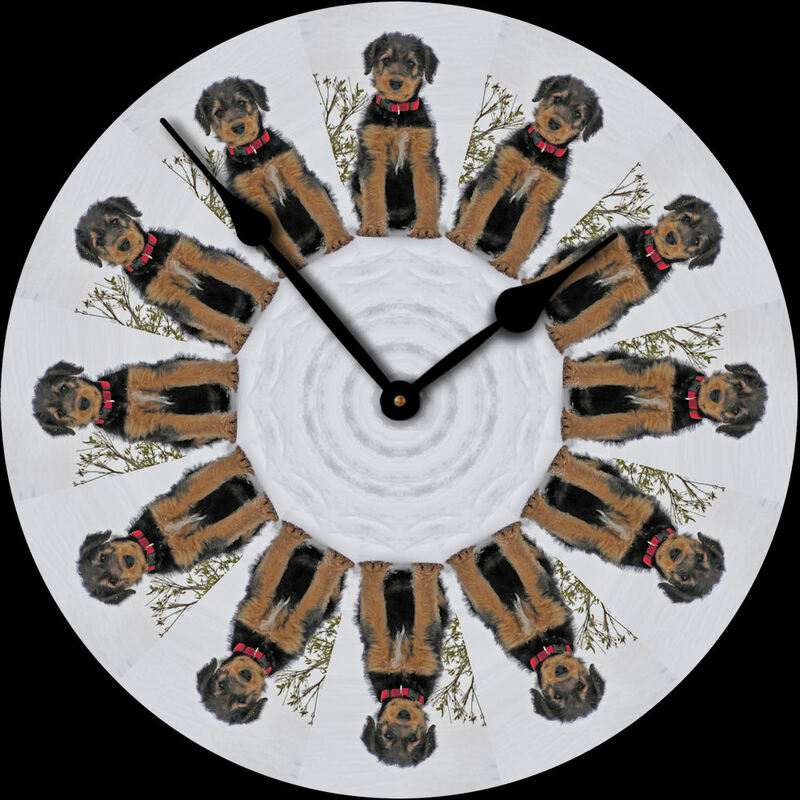 We got lots of nice entries for the custom art clock from The Clock Lady, and we wish everyone could win. So in addition to announcing our grand prize winner today, The Clock Lady is offering 20 percent off all clock orders for To Dog With Love readers through August 31. To take advantage of the special discount, just enter To Dog With Love in the box that says "How did you hear about The Clock Lady?" on the order page. And now, for the real reason you are here!! Drum roll please >>>>>>>>>>>>>>>>>>>!!! The winner of the 16-inch clock from The Clock Lady, featuring your very own favorite photo, is Junk Loving Girl! Congratulations on a most fabulous prize!